First of all, thank you so much for all of the nice words about the brochure. The encouragement is highly appreciated, and I’ll let you know how it goes over! 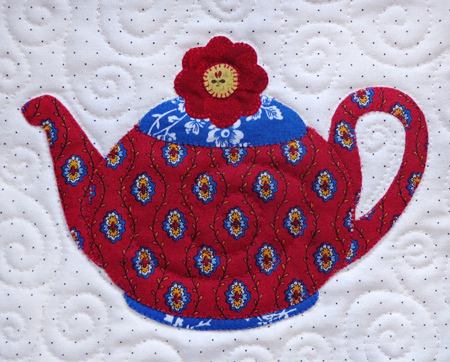 Those of you who have visited my booth have seen the nine-block teapot sampler that I hang to show some of the designs in Teapots 2 to Appliqué. 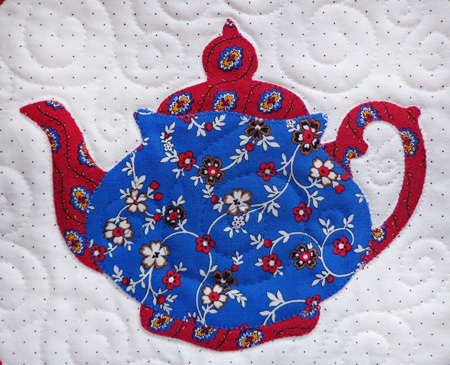 In the last little while, those teapots have started to whisper to me. “Mackenzie,” they say, “We’re tired. We want to stay home.” It’s true they have done a yeoman’s service. So over the holiday hiatus I made a new nine-block sampler. Here are a couple of the new teapots. As you can see, they’re still red, white, and blue, but in a richer scheme. The white is now ivory, the 30s and toile prints now French and Civil War. I hope this new collection will hit the spot for viewers. 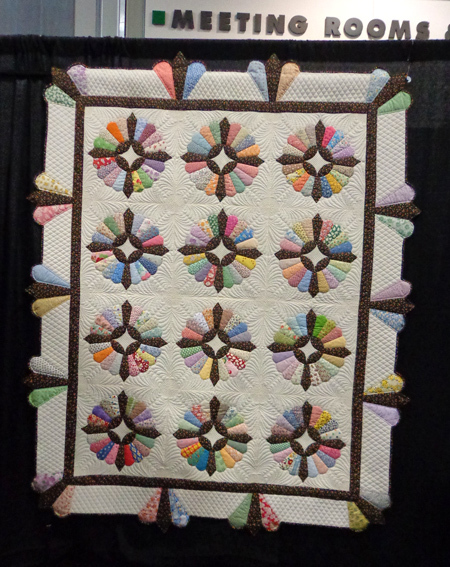 The quilt will make its debut at the upcoming Road to California show. 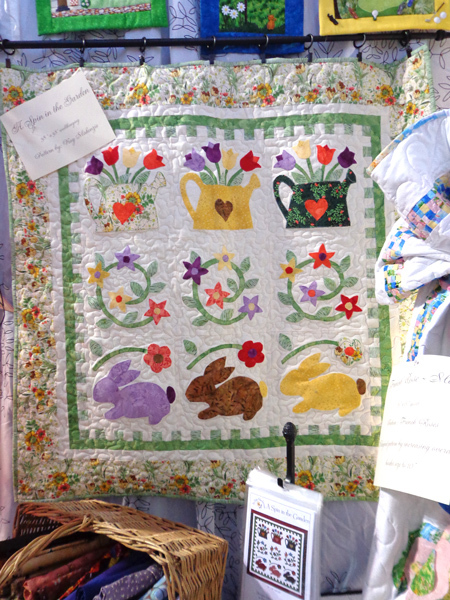 If you’re planning on attending this quilting extravaganza, come on by and see it! I’ll be in the ballroom. I’m on the road to Road on Tuesday, for a week. See you when I get back, if not before! 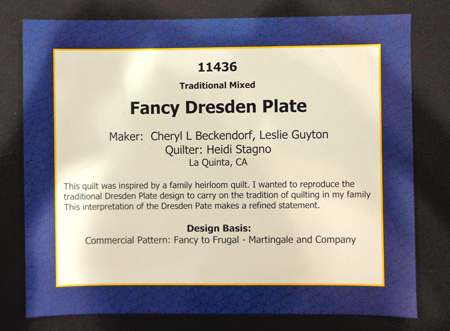 A couple months ago, I floated the idea of creating a hand-out to give to visitors in my booth who expressed appliqué fear or hesitation. I so appreciated all of your responses and support! I’ve been working on it ever since. To those who said they liked the graphic, thank you so much! It’s the same as the header for the blog. 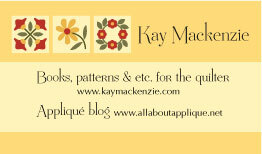 They are three of the designs from Easy Appliqué Blocks, my first book with Martingale. It’s also on my business card. Someone asked if they could purchase one… heavens no! 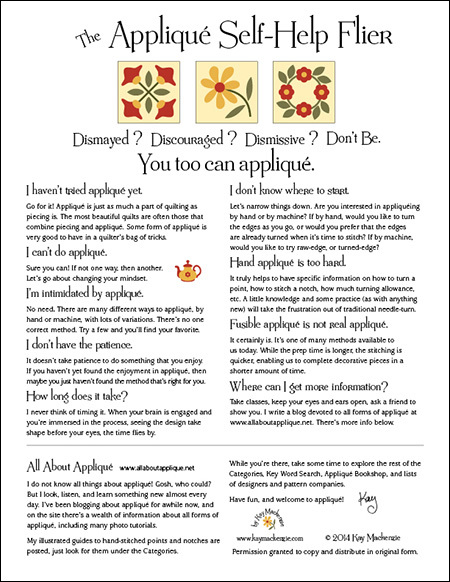 I’ve modified the format so that it’s all one page, nicknamed the Appliqué Self-Help Flier, and I’m posting a pdf of it here for anyone to print. The information is all the same, just rearranged to go on one page instead of a two-sided half-sheet. Just click on the image below, and the pdf version should pop up for you. You’ll note that the copyright statement includes permission to distribute the flier at will, provided that it’s not modified and remains in its original form. 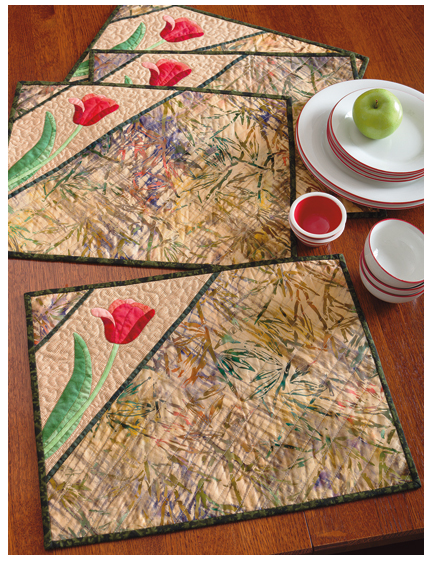 Susan Taylor Propst is the author of a series of wonderful books on floral appliqué. 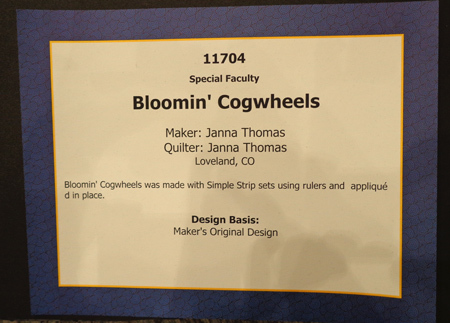 Here on the blog, we previously featured her titles Beautiful Blooms and Another Season of Beautiful Blooms. 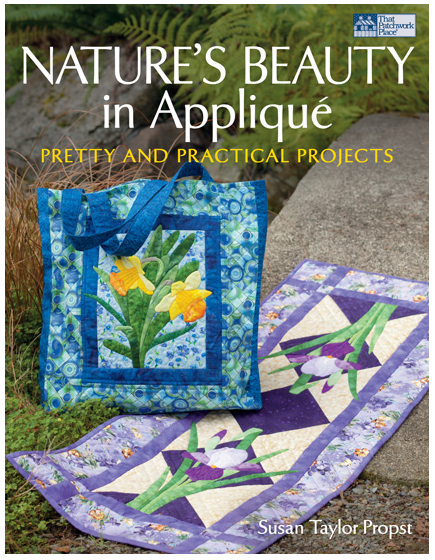 For this month, courtesy of Martingale, we have Susan’s third book, Nature’s Beauty in Appliqué. 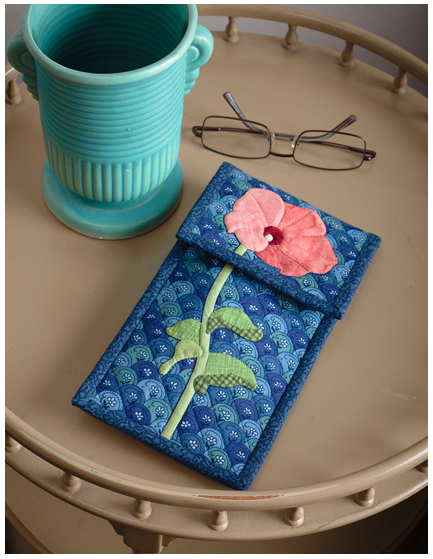 Subtitled “Pretty and Practical Projects,” this book gives instructions for a variety of different things you can appliqué and sew, from table runners to place mats to tote bags to zippered cases. 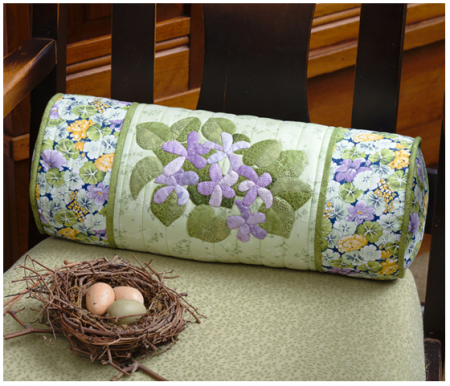 Also blooming in the designs are irises, daffodils, dahlias, and ivy. 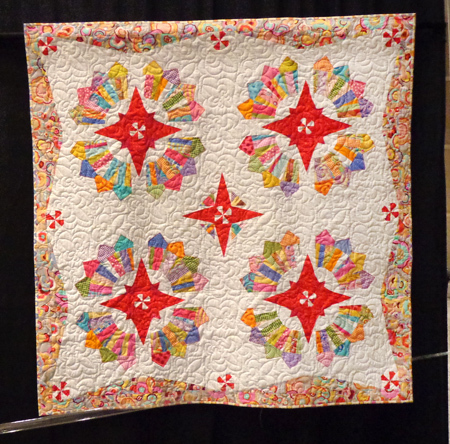 Add in Susan’s instructions for her methods of needleturn hand appliqué, prepared-edge hand appliqué, and fusible appliqué, and this is one fantastic resource! If you’d like to enter the drawing for Nature’s Beauty in Appliqué, please leave a comment below by 7:00 p.m. California time on Saturday, January 5. Open to U.S. and Canada mailing addresses only. Heads up! If you get this in an email, do not reply… it will not enter you in the drawing. Leave your comment on the blog, on the internet. To get there, click on the title of the post in your email feed.